This is the first book I've read on my new kindle (a birthday gift from my dad). I was skeptical at first, since I'm a little old-school - I was hesitant to read a book that wasn't on old fashioned, traditional paper. Holy crap, now I freaking love it. I don't want to read another traditional book again. It's so light, thin, and easy to tote around, I just love it. I haven't ready a book that's kept my attention like this in awhile. I don't want to give too much away, but I've been amazed by Amanda's complete honesty and frankness. [Webb: I'm glad you guys are such pals now that you are on a first-name basis.] She doesn't hold anything back, and that's what makes this book so compelling. You get to see what it's like to be a kid who grew up to win an Olympic medal at age 14. Which, as an athlete, is totally interesting and inspiring. But she doesn't try to hide her flaws, she is just like the rest of us, she just swims faster. That makes her story so powerful. She just tells it all like it is. And I loved every minute of it. Her honesty is refreshing and kind of therapeutic. I didn't want it to end. From her early beginnings as a fun-loving girl in idyllic Irvine, California, you follow Amanda Beard through her intense swim practice schedule that start at a young age, as well as her difficulties in her academic studies. You get a glimpse of just how much work, and how many hours go into the life of an athlete who is destined to compete in the Olympics. You see her through the tough adolescence years that we all have to face, but for her, it was even worse, since her changing body affected her award-winning swimming. One aspect that brings this story closer to home is that Webb grew up in Arizona and went to the University of Arizona [Webb: Beardown! Go Cats! ], where Amanda ended up going on a swim scholarship. As a huge UofA fan, Webb was well aware of Amanda Beard, and totally into the fact that I was reading this book. I didn't think anything could make me want to move to Tucscon more, but congrats Amanda, you did it. 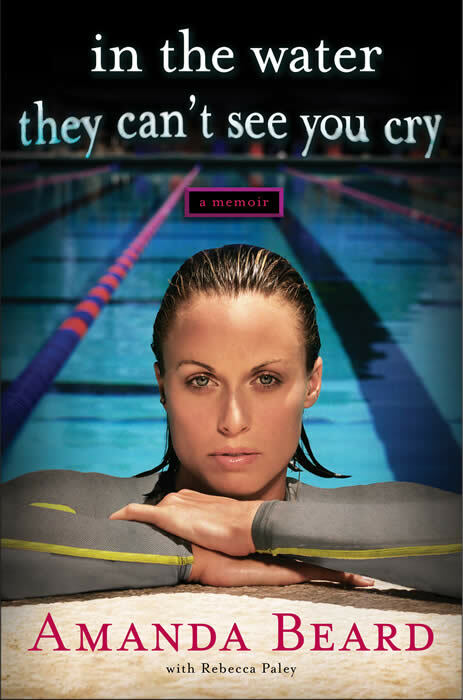 As a woman and an athlete, I found this story moving and enlightening. Yes, she has a natural talent, but she shows how she's also a normal person too. I highly recommend this book. The mystery of the wonky knee..